The Hounslow Sports and Community Development teamed up with Osterley Parkrun (host to the weekly free 5k run), and used the race as a selection event for the 2019 Virgin London Mini Marathon. Many of the boroughs top young athletes took part in the trials. Those who qualified will go on to represent Hounslow on the 28 April, at the Virgin Money London Marathon, where competitors race over the last 5k of the actual marathon course. There were some very talented athletes competing to be one of the 6 athletes selected in each age group, to secure a place on the Hounslow team. 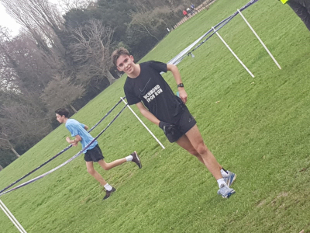 The stand-out performance came from Aiden Aherne who completed the 5k course in 17mins 45 seconds, coming in second overall. The event produced further creditable performances, with a large number of athletes now representing athletics clubs. The Hounslow Sports Development team are hoping for continued improvement in the run up to the marathon. Leah Russell (from Rivers Academy) came third in the under 13 girls age group. William Paterson-Denton (Ark Action High School) was fourth in the under 15 age group and Jonathan Bartholomew (St Marks School), came second in the under 17 age group. Niamh Murphy (Sacred Heart School) came first in the under 17 girls age group and goes forward to the mini marathon, this is fifth time she’s competed in the event.